The fact that the hosts Russia were actually the lowest ranked team in this group coming into the World Cup meant that despite the obvious benefits of home advantage, few would have expected Russia to produce such dominant attacking football. 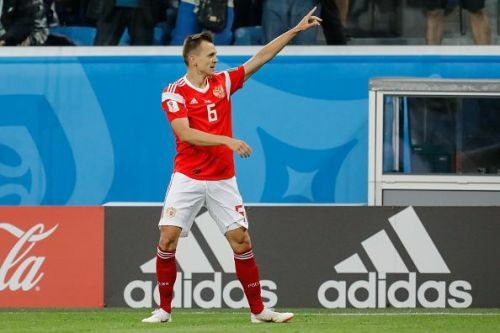 Especially after their creative midfielder and Euro 2012 star Alan Dzagoev limped off the field less than half an hour into their campaign with a hamstring injury that looks likely to rule him out for the rest of the tournament. Enter Denis Cheryshev. Two goals in the 5-0 rout of Saudi Arabia were followed by another in the 3-1 defeat of Egypt. Safe to say, Dzagoev's absence has not been felt as Russia steamrolled their way through to the knockout stages. In fact, after two games, the Russian side can boast of the highest number of goals scored (8) and the best goal difference (+7) of all the teams. A lot of focus was on Egypt's Mohamed Salah in the lead-up to the tournament after his exploits with Liverpool over the last season earned him the Premier League Golden Boot and Player of the Season awards. There was a belief that a good showing at the World Cup could even give Salah a shot at breaking the Ronaldo-Messi stranglehold on the Ballon d'Or. 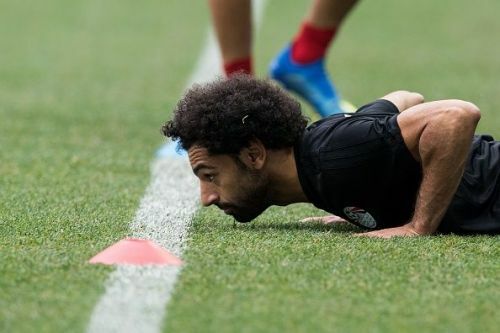 However, a shoulder dislocation during the Champions League final scuppered the hopes of millions of Egyptian fans, and his speed and presence up top were sorely missed as Egypt lost narrowly to Uruguay, conceding through a free kick in the last minute of regulation time. Although Salah returned for the next game and scored from a penalty, there was little they could do to stop the rampaging Russians, and they were eliminated from the tournament. Meanwhile, Uruguay also secured their spot in the Round of 16 with narrow 1-0 victories against Egypt and Saudi Arabia. With two deadly duos in their side (Luis Suarez and Edinson Cavani up top and Diego Godin and Jose Gimenez at the back), it is fair to say that the Uruguayan performances so far have been underwhelming. In particular, they have been poor in the middle of the park, with Godin stepping forward repeatedly to ensure some fluency in attack. This is an issue that manager Oscar Tabarez must look to resolve if Uruguay are to proceed any further in the knockouts. The last team in Group A is Saudi Arabia, who have had a very difficult campaign so far, conceding 6 goals without scoring any of their own on the way to a speedy elimination. They have looked toothless in attack and porous in defence, and it looks like they are the favourites to finish with the wooden spoon in this group. As one can see in the table above, it does not get any more straightforward than this as far as qualification scenarios are concerned. Russia and Uruguay have qualified for the next round, and play each other in a direct battle to decide who wins the group (Russia will come first in the event of a draw). Egypt and Saudi Arabia have been eliminated from the tournament, and the game between the two Arab nations is more a battle for pride than anything else. This is a direct head-to-head battle for top spot in the group, but there seems to be no major advantage to finishing top apart from confidence and some positive momentum. With Spain and Portugal likely to be the two teams advancing from group B, it is tough to say which of them would be a preferred opponent in the Round of 16. This Uruguayan defence will be the sternest test of the tournament thus far for the free-flowing Russian forwards. Likewise, Uruguay has been lucky to get away with the holes in their midfield, but Cheryshev, Golovin and Samedov are more than capable of running them ragged. I expect to see a closely-fought game played mostly in the Uruguayan half with brisk counterattacks from Suarez and Cavani, but with Russia edging it with the support of the home fans. Round of 16, here we come! A true dead rubber, but one with so much pride at stake. Two nations with huge fanbases that would like one last hoorah from their teams. One last chance for Salah to shine at the global stage after a phenomenal season at club level. I expect a box to box game with both sets of players desperate to get at least one point on the board, but with Egypt's (and Salah's) quality coming to the fore in a comfortable victory.